The 100 selected as Champions of Mercy are the humble servants who feed the hungry, tend the sick, comfort the lonely and protect the vulnerable. They inspire others to be merciful to neighbors and strangers alike. Pat Banaszak, founder of the Family and Youth Initiative in Springfield, Ohio. Holly Schlaack, foster care advocate as well as founder and executive director of Invisible Kids. Christina Thomas, a volunteer for more than 50 years for a variety of organizations. Fifth-grade students from St. Catharine of Siena School for lifting up a fellow parishioner battling cancer for the second time. The parishioner felt hopeless and didn’t want to fight any more, but when the 17 students began sending cards and letters of hope, she felt she had to get better for them. Our Lady of Lourdes, for a range of ministries that serve the poor, protect the vulnerable and welcome the stranger. Maria Dunlap is one of the 100 Champions of Mercy, nominated by her husband Rod. 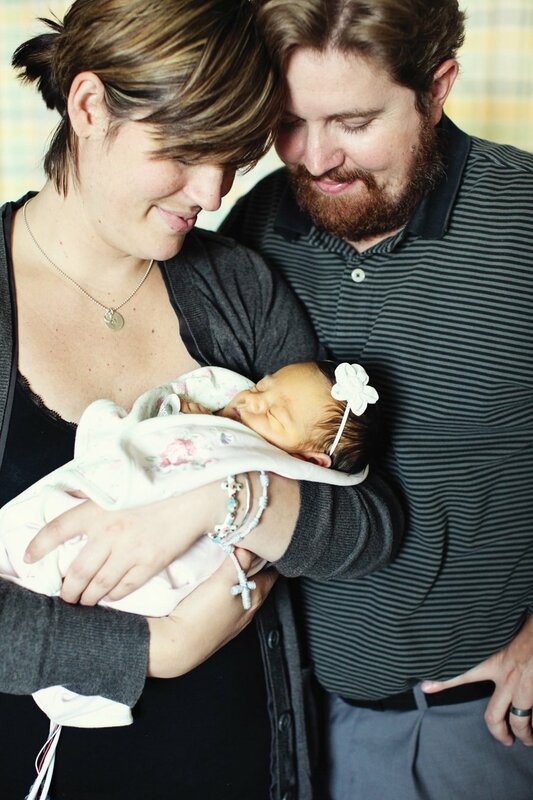 Their daughter, Vivian, was diagnosed in the womb with a congenital heart defect, and during her 59 days of life, taught her parents the true meaning of love. Now nearly four years later, Maria is the founder and executive director of Vivian’s Victory where she supports 100 parents of babies presented with poor prenatal prognosis or a prolonged diagnosis. The support ranges from gas cards to offset the expense of trips to the hospital, to someone to listen and referrals to social service agencies. Sue Menke will also receive a Champion of Mercy Award. While she just turned 80 and hinted at slowing down, for the last 10 years at St. Anne Parish, Sue has visited the sick, coordinated the ministry for shut-ins, made sure the sick received sacraments and led the bereavement committee. Other Champions of Mercy recipients are organizations such as the Over-the-Rhine Kitchen started by Father Tom Bokenkotter in 1976 to help alleviate hunger in the community by serving the poor in a respectful, caring and hospitable environment. The Over-the-Rhine Kitchen started with just two people and has grown to a staff of six, powered by 9,000 volunteer hours from 46 secular groups. About 230,000 meals are served a year and 5,600 families receive groceries, said Patricia Wakim, executive director. “It changes your attitude when you’re serving people who have so much less than you do,” Wakim said.